Buying a car on finance can be very confusing for the first time. With so many different methods and main dealers having their own titles like 'Options' or 'Choices' instead of PCP it really pays to know what all these things mean before you buy. Please take a moment to check whether you require outright purchase, monthly set payments or a residual value product where the car can either go back or you own it. It pays to fully understand these terms before you buy. If you are in doubt in anyway please call one of our team for help on 01695 573 717. Hire Purchase (HP) is a well-established method of financing the purchase of assets by businesses. Under a HP agreement the customer will pay an initial deposit, with the remainder of the balance and interest paid over a period of time. The finance company which provides finance is known as the "creditor". It will purchase the asset on behalf of the customer, who is known as the "hirer" The finance company owns the asset until the final installment is paid for the asset. Leasing is a contract between the leasing company, and the customer. - The customer hires the asset from the leasing company and pays rental over a pre-determined period for the use of the asset. - The leasing company can sometimes claim capital allowances on the assets. These benefits are usually passed onto the lessee in the form of reduced repayments. Under a finance lease the rental covers virtually all of the costs of the asset, therefore the value of the rental is equal to or greater than 90% of the cost of the asset. The leasing company claims written down allowances, whilst the customer can claim both tax relief and VAT on rentals paid. The lease will not run for the full life of the asset and the lessee will not be liable for its full value The lessor or the original manufacturer or supplier will assume the residual risk. This type of lease will normally only be used when the asset has a probable resale value; for instance aircraft or vehicles. The most common form of operating lease is known as contract hire. Essentially this gains the customer the use of the asset together with added services. A very common example of an asset on contract hire would be a fleet of vehicles. - Start the process all over again by going back to the dealer, trading in the car and paying off the Minimum Guaranteed Future Value [MGFV] to the finance company. Any surplus can then be put towards the deposit on a new car. Alternatively, the car can be sold privately, keeping any surplus in excess of the MGFV. - Return the car and walk away. If the market conditions have changed and the car is worth less than the MGFV, the lender will absorb any loss. Provided the vehicle is in good condition for its age and does not exceed the agreed mileage. - Keep the car by paying off the MGFV. Even if the vehicle is worth more, the customer only has to find the agreed Minimum Guaranteed Future Value set at the outset of your finance plan. 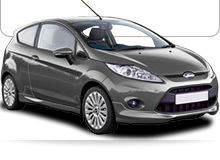 Both new and used vehicles can be purchased on a PCP plan. The customer starts by paying a deposit followed by the balance [plus interest] being paid in fixed installments over a pre-determined contract period – typically 36 months. If all the conditions are satisfied, full ownership passes to the customer when the final installment is paid. Traditional HP is similar to Conditional Sale, except the customer hire the vehicle for a fixed period during which time they repay, by installments, the total cost of the car plus interest. At the end of the contract period, the customer may elect to pay a nominal ‘option to purchase’ fee to obtain ownership of the vehicle. Following the Value Added Tax changes in August 1995, the motor finance industry developed Personal Leasing Plans [PLP]. This is a new development for the car finance market and will probably take several years to take off. A residual value is the value of the asset at the end of the lease term. Residual values play an important role in an operating lease that is used in conjunction with equipment that retains value at the end of the contract period. The residual value will be left out of the rental calculation. Either the leasing company or a third party will take the risk that the asset will not be worth the amount of the residual value at the end of the lease. Under a balloon rental payments are made over the period of the lease, sometimes a larger payment or lump sum called a balloon payment is made at the beginning or end of the lease period. Often the customer would pay a balloon payment on the last day of their lease. A lease purchase is essentially the same as HP; the main difference is in the terms and structure of repayments. Some finance companies differentiate Lease Purchase from Hire Purchase by using it where the customer wishes to defer payment of a substantial part of the asset cost until the end of the agreement. A chattel mortgage is a type of fixed charge taken over identifiable and moveable assets such as plant and machinery. Chattels are defined as any property other than freehold land. Chattel mortgages are normally only available if the customer is a corporate body in England and Wales (Scotland does not recognize them except for ships or aircraft).